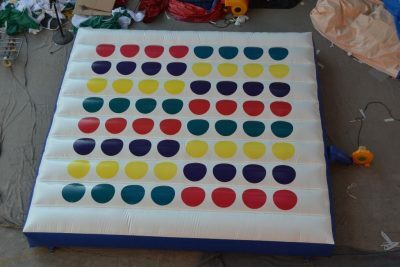 Inflatable twister game is played on a life-size inflatable mat with four kinds of colored dots (red, yellow, green, blue). The game play is same with the original twister which is happened on a plastic mat, just an air twister mattress is better for cushion when players fall. A spinner board divided into four sections (left or right hand or foot) will tell current player what to do next. Blow up twister game is easy to be set up and provide a bit safe for participants, especially kids. 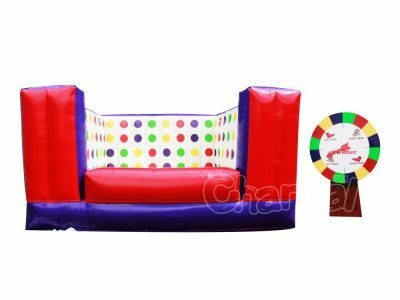 It is versatile for many occasions and locations, be it party in your house, money raise event, traveling carnival game stall, outdoor lawn, concrete floor, etc, people will gather around and have fun. 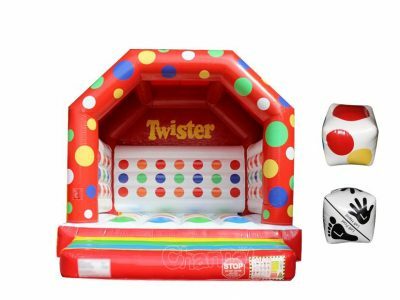 Channal Inflatables is a professional inflatable twister manufacturer in China, we have custom giant inflatable twister game for sale at a cheap price. Submit your inquiry and we’ll discuss more details.